If you’re a fan of 80’s break dance movies, then you’ve probably seen the 1984 classic, Breakin,’ at least once. You probably also remember the character, “Turbo,” played by Michael “Boogaloo Shrimp” Chambers. He was the break dancing sidekick to “Ozone” (Adolfo Quinnones). Boogaloo Shrimp was also 16 years old at the time and will forever be remembered not just for his off the chain breakdancing skills, but also as the guy who took sweeping dirt off of the sidewalk to a WHOLE ‘notha level. After Breakin’ was released, we didn’t hear much else from Boogaloo, although he did manage to land a few gigs including Chaka Khan’s “I Feel For You” video (along with the other dancers from the Breakin’ cast), which was a genius move on the part of Chaka, because it gave her that street edge she was going for, without compromising her true soul music roots. 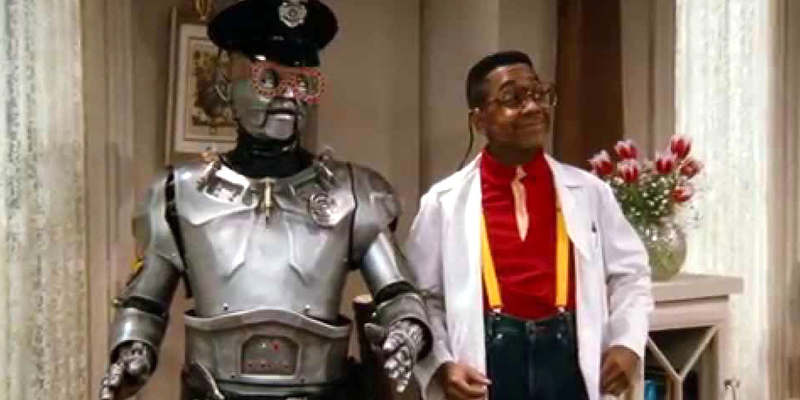 Another gig Boogaloo landed after Breakin,’ was role of the pop-locking ‘Urkel-bot’ in the 90’s Family Matters sitcom. After a few more appearances in film projects, like Naked Gun 33⅓: The Final Insult, and Bill & Ted’s Bogus Journey, and also in music videos- Gap Band’s “Party Train,” and Lionel Richie’s “All Night Long”- it seemed like Michael “Boogaloo Shrimp” Chambers fell off. We wanted to know where the brotha disappeared to, so we did a lil’ digging and found out a few things about him. Turns out, Boogaloo Shrimp actually did not instantly fall off after his Breakin’ fame subsided. -Boogaloo was employed as a personal dance consultant to Michael Jackson throughout most of the 80s and the early 90s. Ain’t that something?!! -He’s still dancing and spent his years making a living doing choreography, teaching private lessons and doing trade shows in Europe and Japan. Dancing is in his blood and it doesn’t look like he has any plans on stopping soon. -When Boogaloo isn’t dancing, he’s mentoring young up and coming dancers, who strive to reach what he accomplished. Boogaloo also credits his former co-star, Shabba-Doo, for schooling him on the business side of dancing when he was still a teenager. At 50 years old, Boogaloo is fortunate enough to continue to live out his dream of dancing. We’re happy to see the brotha doing well and get this, we actually might see him again on the big screen in a new Breakin’ movie. The last we heard, was that he was ‘in talks’ for a sequel, although there has been no confirmation. Curious to see how well that would go over in today’s hip hop environment, because breakdancing is unfortunately a lost art. The new dances in hip hop are either for kids and teens, or are so incredibly weird, that us, grown folks, wouldn’t dare attempt to do them. A 50-something year old trying to do BlocBoy JB’s ‘shoot’ dance should be a crime (FYI: Fellow Old Schoolers, we understand if you have to Google that dance…we did too). 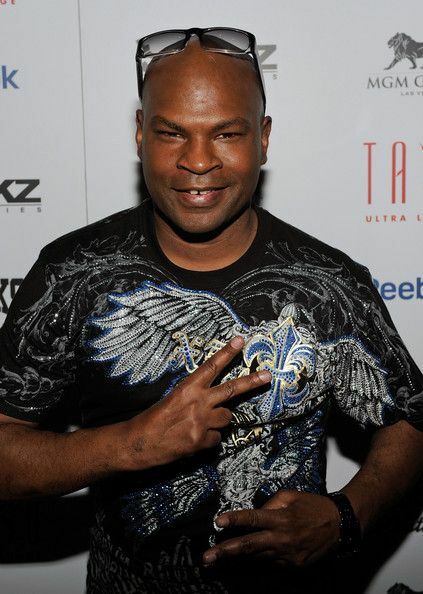 Anywho, it’s good to see Michael “Boogaloo Shrimp” Chambers is out her living life and still doing what he loves.